Portland, OR – This week, Laurelwood Brewing Co. released an all new beer, Belgian Golden Ale, to their 22 oz packaged offering line up. 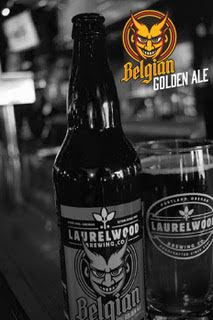 Laurelwood’s Belgian Golden Ale, was inspired and brewed with tradition in mind. It possesses a sweet and spicy profile with a crisp dry finish. 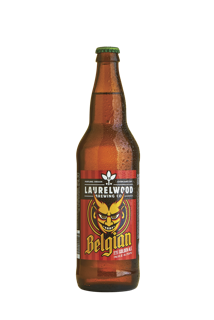 “This beer has an almost lager like quality compared to other Belgian styles,” says Cameron Murphy, head brewer at Laurelwood Brewing Co.
Consumers can expect subtle hints of clove and fruit, with a light malty flavor when sipping on this tasty beverage. “Our Belgian Golden is a great choice for the beer drinker that wants that warming feeling but is tired of the dark malty beers that dominate the winter season,” explains Murphy. Find it on tap and in 22 oz. bottles at Laurelwood’s Portland pubs, located on 5115 NE Sandy Boulevard and 6716 SE Milwaukie Avenue, as well as in stores within Oregon and Washington. Laurelwood is a family-owned brewery and public house in Portland, Oregon, founded in 2001 by Mike De Kalb and Cathy Woo-De Kalb. Laurelwood Brewing Co.’s award-winning line-up includes the popular Workhorse IPA and Free Range Red Ale. Laurelwood’s handcrafted brews can be found on draft, in bottles, and cans throughout Oregon, Washington, Idaho, Alaska, California, British Columbia, and Japan. To learn more, visit www.LaurelwoodBrewpub.com.